This Children’s Centre website is a unique design and updatable website. It includes a new timetable with events showing in a calendar. The events are colour coded and sortable by area. 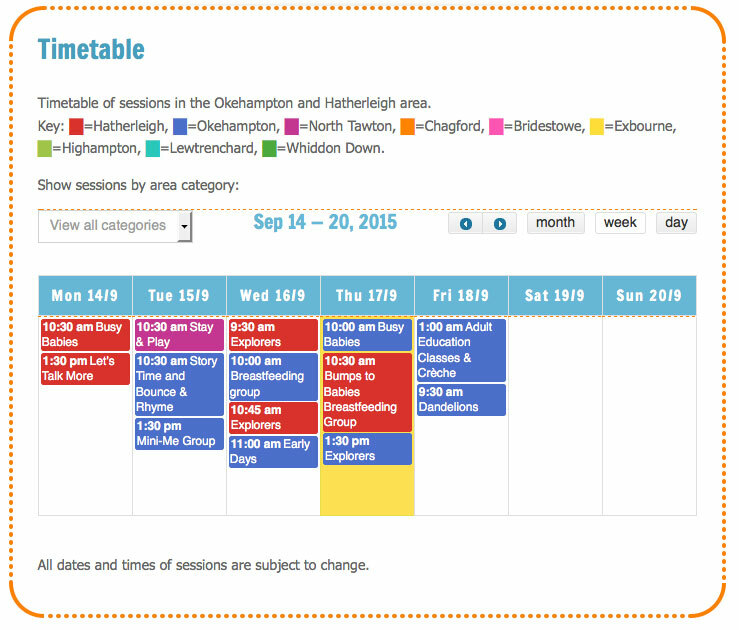 More information such as location and other sessions is available when you click on an event. 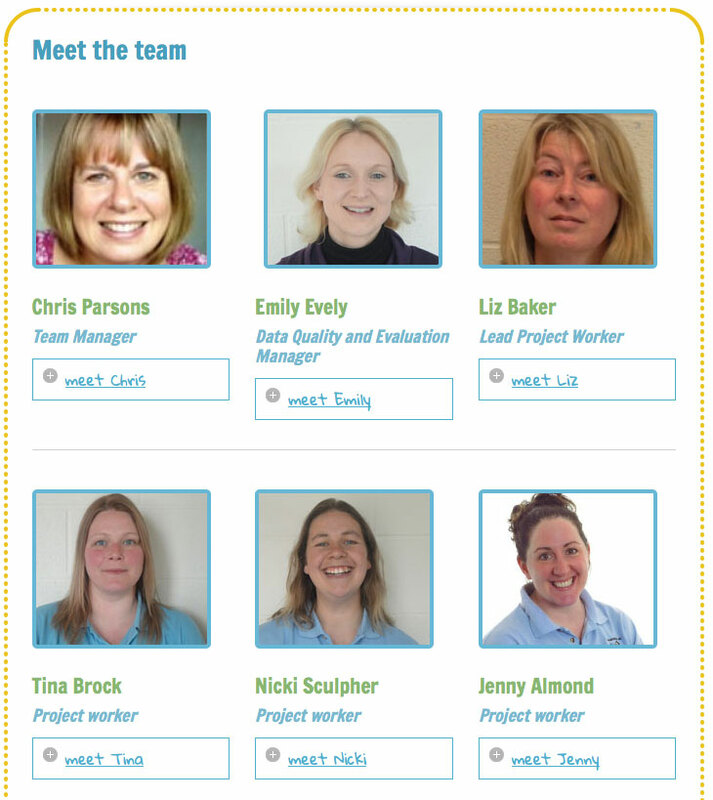 There is also a feedback section and meet the team page with team biographies available when a toggle is clicked. See screenshots below and visit the site here.